Based on a dataset of manufacturing sectors from five major European economies (France, Germany, Italy, Spain and the United Kingdom) between 2000 and 2011, we identify a number of key sector-level features that, according to established economic research, have a positive impact on the likelihood of collusion. Each feature is proxied by an ‘Antitrust Risk Indicator’ (ARI). We rank the sectors according to their ARI scores. At 2-digit level, sectors that appears more exposed to collusion risk are those that tend to score high in most of the ARIs: Tobacco, Pharmaceuticals, Beverages, Chemicals. The 4-digit analysis suggests higher anticompetitive risk in Tobacco products, Spirits, Sugar, Railway Locomotives and Aircraft (high concentration and fixed costs), Coating of Metals and Printing (low import penetration), Tobacco products, Meat products, Footwear and Clothing (high market stability), Plastic products and Spinning/Weaving of textiles (high symmetry of market leaders). We then rank sectors according to the distribution of antitrust intervention by the European Commission between 2000 and 2013, in terms of merger control and anti-cartel enforcement. Tobacco, Paper and paper products, Pharmaceuticals and Food products are the sectors for which a notified merger has a greater likelihood of being deemed problematic by the Commission. There has been a greater incidence of anti-cartel action in Chemicals, Tobacco, Beverages, Electric equipment and Rubber and plastic. The object of this paper is twofold: to provide a broad descriptive analysis of the risk of collusive behaviour throughout Europe in the manufacturing sector; and to identify those manufacturing sectors in which the European Commission has been more active in the past in its capacity of antitrust authority. This paper is close in spirit to industry and market studies, although our target is wider and encompasses the whole manufacturing sector in Europe, as explained further below. Our methodology resembles Ilzkovitz et al (2008), in which the authors couple a variety of product market indicators to measures of antitrust enforcement to determine whether an economic sector is characterised by weak competition. In the manufacturing sector they identify Basic metals and Motor vehicles as the sectors in which competition issues are more likely to arise. Symeonidis (2003) asks in which United Kingdom manufacturing industries collusion is more likely, finding no clear link with industry concentration (industries where collusion had a higher incidence were Basic metals, Building materials and Electrical engineering). Yet Symeonidis’s (2003) analysis is based on observed collusive agreements that were considered lawful during the period of observation1. Our aim instead is to investigate potential infringements of competition law that could be pursued by an antitrust authority. During our observation period, collusion is illegal and therefore participating to a cartel is risky: the inability to coordinate in an explicit and transparent manner between market players and the threat of antitrust intervention make collusion instable. We are looking after market characteristics that help counter-balancing those effects and make collusion more likely in this context. The exercise that we propose in this paper, ranking economic sectors according to their predisposition to collusion, has an intrinsic limitation. The antitrust definition of a market (our theoretical subject of study – referred to in this paper as ‘antitrust market’) is conventionally based on tests, such as the SSNIP test2, that identify the boundaries of a market by measuring the degree of competition that different products exert on each other. If two products are very good substitutes – such that a significant proportion of demand and/or of supply would shift to one product if the price of the other is changed – then the products are considered to belong to the same market. This often leads to markets the boundaries of which are much narrower than those captured by product classification at sector level. However, macroscopic analysis such as the one proposed in this paper, is necessarily based on sector data: that is, data that aggregate information from multiple markets that are grouped together for statistical purposes. In fact, we are only able to capture an imperfect link between antitrust markets and the observable average performance of the sectors they belong to. Previous research has been confronted with the same challenge (see, for example, Griffith et al, 2010, on the effect of the EU Single Market Programme on mark-ups and productivity). To partially mitigate that problem, we focus on market characteristics that we presume could be shared by the majority of products within the same statistical sector. This would be the case if, for example, antitrust product markets within a certain sector share regulatory features (eg similar barriers to entry), production features (eg similar levels of economies of scale) or demand characteristics (eg a customer base which is largely the same). To rank sectors according to their predisposition to collusion we follow the common wisdom in economic literature concerning the role of market’s structural features (see, for an exhaustive overview: Ivaldi et al, 2003, or Motta, 2004). The general intuition is that the more concentrated, stable and transparent markets are, the easier is for players to coordinate on a collusive price and stick to it without yielding to the temptation of undercutting the rivals and break the cartel agreement. On the basis of the available data (see Section 2 below), we are able to measure proxies and account for the following factors: (1) market concentration; (2) likelihood of entry; (3) stability of demand and supply; (4) market symmetry3. The treatment and measurement of each factor is described in the next Section. In the second part of our analysis we look at antitrust intervention by the European Commission. We look specifically at merger investigations and cartel infringement decisions. Both types of competition policy interventions give insights about the treatment of collusion likelihood by a competition authority. 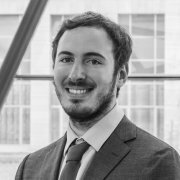 Regarding merger control, a merger has a higher chance to be considered ‘problematic’ from a competition policy perspective if it occurs in an already malfunctioning market where concentration levels are high, likelihood of entry is low, and supply and demand are relatively inelastic. A crucial determinant of a merger decision is, moreover, whether a merger has ‘coordinated effects’ ie whether the merger will make future collusion more likely. 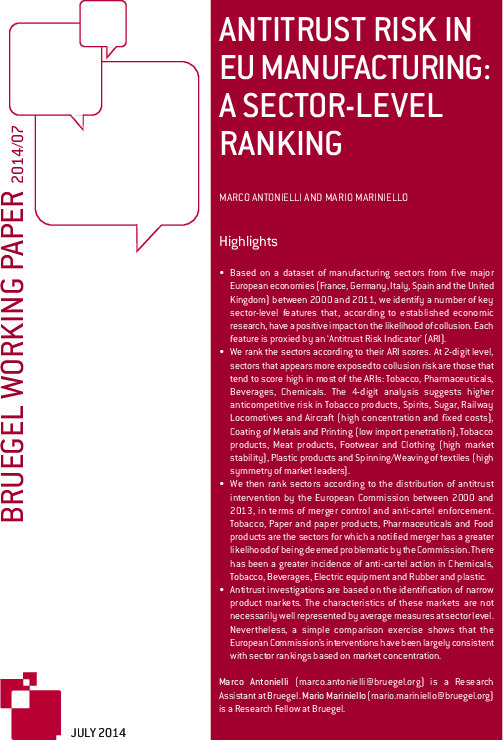 Finally we propose and discuss a simple comparison exercise: the European Commission’s antitrust action is matched with the ranking of manufacturing sectors according to their collusion risk. Gual and Mas (2011) have an approach broadly similar to ours. They focus on Commission antitrust investigations only (ie they do not look at merger decisions), between 1999 and 2004 and check whether the probability of dropping the investigation is lower when industry characteristics suggest a lower likelihood of antitrust infringement. They find positive and weakly significant links consistent with theoretical prediction. For example, higher industry concentration rates are positively correlated with the probability of antitrust sanctioning. It is important to stress that this exercise suffers from the fundamental limitation described above: that sector data does not necessarily convey information for antitrust product markets. 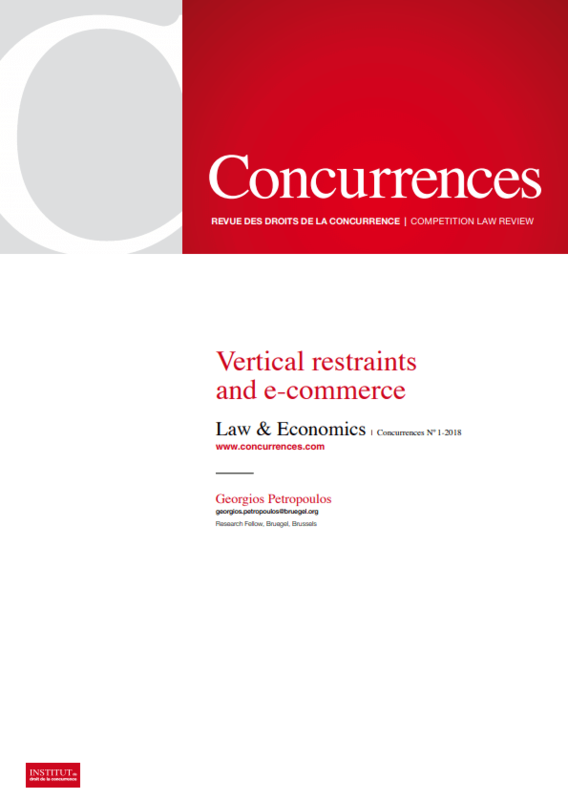 Therefore, while the exercise can provide for an interesting consistency check between antitrust action and status of competition at sector level and deliver suggestions for follow-up inquiries, it should not in itself be used in a normative fashion to judge the quality of antitrust intervention. An ad-hoc case-by-case ex-post analysis should instead be performed for that purpose (see Neven and Zenger, 2008, for a good overview of the literature). The paper is organised as follows. We first provide an illustration of the Antitrust Risk Indicators. We then describe our data sample in Section 2. Section 3 reports the sectors’ rankings and discusses the results. Section 4 concludes. Below we report and explain the construction of the Antitrust Risk Indicators (ARIs) used to rank sectors’ predisposition to collusion. A good summary of the underlying economic theory can be found in Motta (2004). Note that the indicators are computed at European wide level (ie they are cross-country averages) and on a 10 years-wide time period (with two exceptions described below). We are in fact interested in capturing the probability of potential cartels with boundaries that are wider than national, to identify true ‘European’ issues4. Moreover the time period of observation has to be sufficiently long as anti-competitive behaviours are usually put in place for years (for example: the average duration of an international cartel is between 6 and 14 years – See Mariniello, 2013). We note that market structures are generally stable over time; in other words, to give an example: the average market performance within the tobacco sector during the period 2000 and 2011 is a good proxy of the performance of the tobacco sector at any point of time during that period. Again, this is the case if, despite changes prompted by regulatory intervention, sectors tend to preserve their key structural features over time, at least in relative terms if compared with other sectors of the economy. The literature reports consistent findings5. A higher degree of market concentration is associated with higher likelihood of collusion. It is easier to coordinate and reach a collusive agreement within a smaller group of players. Also, if concentration is high, deviation from a collusive equilibrium is less profitable: the remaining slice of the market a player would grab by undercutting rivals is smaller if compared to a market where many players are active. This means that cartels are generally more stable when markets are more concentrated. We use three measures to proxy the average level of market concentration within a sector: the average price-cost margin for the period 2000 – 2011, the industry concentration ratio for 2010 and the Herfindal-Hirschman Index (HHI) for 2010. Price-cost margins have been widely used in the literature to proxy the degree of market concentration (See Griffith et al, 2010), as the companies’ ability to extract rents and increase the gap between marginal costs and prices is decreasing in the level of competition in the market. They are, however, imperfect indicators: margins may be high, for example, because companies are more efficient or because they benefit from economies of scale, but calculating exact firm-level marginal cost is an extremely difficult exercise affected by other limitations (see Altomonte et al, 2010, for an example of such an exercise). We resort to use sector-wide production value and average variable costs as proxy of marginal costs; that is: we use the sum of the costs of labour, capital and all intermediate inputs as in Griffith et al (2010)6. In order to accommodate for the limitations of price-cost margins measures, we complement that indicator with industry concentration ratios and HHI indexes, calculated respectively as the simple sum of companies’ market shares and the sum of the square of companies’ market shares. These are also widely used measures of concentration (see Ilzkovitz et al, 2007), even if they are possibly even more subject to the fundamental limitation that affect macro-analysis as described above: market shares at sector level are not necessarily a good proxy of market shares at market level. In our case, moreover, market shares are available only for the biggest 4 companies in the sector and only for year 2010. We construct the indicators accordingly: C4 is the sum of the market shares of the four biggest companies in the sector in 2010; HHI4 is the sum of the square of the market shares of the four biggest companies in the sector in 2010. Entry has a disruptive effect on collusive behaviour. The mere threat of entry makes collusion less sustainable: when effective entry is likely, incumbent players may find it difficult to maintain high prices in the market without risking sudden loss of customers. Moreover, a high firms’ turnover implies that coordination is less likely: instability in the identity and in the number of counterparts make collusive agreements more difficult to reach. Sectors where entry is more likely should therefore ceteris paribus be associated with lower probability of collusion. Our dataset does not contain information that can directly help measuring the likelihood of entry; likewise, it does not contain information on the pattern of actual entries by new companies that occurred in the period of observation. The data report just the change in number of companies and do not disentangle entry from exit. Low growth rates may therefore mean low entry rates or high entry rates accompanied by equally high exit rates. The change in the number of companies cannot therefore be used to proxy entry. We nevertheless can exploit the information available in our dataset to measure proxies that provides indications on the degree of a sector’s openness to outside competitive pressure. To do so, we build 2 indicators: (a) firms’ size and (b) import penetration. Firms’ size is computed as the average size of companies within the sector during the period of observation (2000-2011). Relatively bigger sizes imply the existence of economies of scale, possibly due to higher fixed costs and barriers to entry. Bigger average size should therefore imply lower likelihood of entry7. Import penetration is the yearly average of sector imports divided by sector production. This indicator is again computed over the period 2000-2011. A high ratio of imports over total production suggests that the sector tends to have relatively lower barriers to entry to foreign competitors. Moreover, it is reasonable to assume that reaching a collusive agreement with exporters is comparatively more difficult: exporters, for example, tend to be exposed to different costs shocks. Therefore it would be more difficult for local producers to explain price changes by exporters and detect potential deviation from collusive outcomes that may not be justified by change in production costs. Stable markets are more predisposed to collusion. Collusive agreements crucially rely on players’ ability to capture other players’ deviation from the agreed price. When markets are subject to frequent and unpredictable demand or supply shocks, attributing a change in price to a deviation is more difficult, therefore collusion is less stable. We compute two indicators to capture markets’ stability: (a) variance in market size and (b) variance in import penetration. Variance in market size is computed as the variance of the yearly growth rate of production values in nominal terms. Variance in import penetration is the variance of the yearly growth rate of the ratio of imports over total production. The two variables are calculated over the full period of observation 2000-2011. High variance levels are presumed to indicate lower market predictability and lower likelihood of collusion. The last dimension of analysis is market symmetry. Symmetric markets where players hold similar market shares tend to be more predisposed to collusion. Symmetry aligns players’ incentive to stick to a cartel agreement. Conversely, if a company is much smaller than the others, it may have a relatively higher incentive to deviate, undercut its rivals and enjoy all market’s profits. To test for symmetry we compute an Asymmetry Indicator based on Gini’s coefficient8. In our case we employ it on the distribution of the production shares of the top four companies in each sector for year 2010. If the asymmetry indicator is 0, that indicates that the four observed companies have identical production shares ie the market is perfectly symmetric. When the indicator instead approaches 100 that meansthat there exists a huge gap between the market share held by the biggest company and the one held by the smaller ones9. Our dataset contains a number of widely-used data for European manufacturing sectors from 2000 to 2011 for 5 European countries: France, Germany, Italy, Spain and UK. The 5 economies together represent 71 percent of the EU GDP10, in 2011, while the manufacturing sector in the five countries observed represents on average 12.5 percent of a country’s GDP11. The primary sources for data are National Accounts, Structural Business Statistics and International Trade databases. The aggregate statistics were compiled by Euromonitor12. The market features variables contained in our database are: total production, value added, gross operating surplus, market size, imports, exports, production and number of firms by employment size, production value and production shares of up to five top companies (all monetary data is recorded in euro)13. Using Eurostat NACE 2-digit classification14, the manufacturing sector can be split in 22 categories: Food products, Tobacco, Textiles, Wearing apparel, Leather products, Wood and wood products, Paper and paper products, Reproduction of recorded media, Chemicals, Pharmaceuticals, Rubber and Plastics, Other non-metallic mineral products, Basic metals, Fabricated metal products, Computers and electronics, Electrical equipment, Machinery and equipment, Motor vehicles, Other transport equipment, Furniture, Other manufacturing15. The 4-digit disaggregation results in 92 sub-categories. The below table provides an overview of the database with few key descriptive statistics relative to 2010 for 2-digit sectors aggregated across the five economies. As it can be noted the total manufacturing production for our database amounted to €3.5 trillion, with the Food, Motor vehicles and Fabricated metal sectors topping the list in terms of production and value added. As for the demand-side, the five economies consumed €3.9 trillion with the Food and Motor vehicles sectors again on the top 3 by market size, and Computers and electronics coming third. The latter sector is ranked first also in terms of imports. Noticeably, imports and exports are originally defined at country level and therefore these aggregates include intra-group trade. The smallest sectors are Tobacco, Electrical equipment and Wood16 by either production or value added. The highest numbers of companies are in the Fabricated metal and Food sectors, with more than 180 thousands firms. Table 2 and Table 3 above report the ranking of all sectors according to each of the ARI indicators (table 2 reports ranking based on 2-digit aggregation data, table 3 on 4-digit). In terms of market concentration, there is a general consistency between the three indicators, price-cost margins, C4 and HHI4, particularly in pointing to the most concentrated sectors: Tobacco, Beverages and Pharmaceuticals. Reproduction of recorded media and Chemicals, Motor vehicles and Electrical equipment score high respectively in terms of price cost margins and HHI(4) and C4. Divergences between indicators are possibly due to differences in cost structures (this should be the case for Motor vehicles and Other transport equipment for example)17 or differences in the size of antitrust markets. For example, Reproduction of recorded media scores very low for HHI(4) and C4. That is possibly due to the fact that products in these sectors tend to be more heterogeneous and therefore less substitutable to each other. Therefore, even if several players are active in the sector (hence market shares at sector level are low), each player can still enjoy a certain degree of market power (hence price-cost margins are high), because the products sold may not have immediate close substitutes, or be perceived as such by customers. The opposite holds for Electrical equipment and Basic metals: if price-margins are relatively low despite high market shares, that may be due to a higher degree of substitutability between products. Table 3 provides a more disaggregated insight by ranking 2-digit sectors according to the highest score reached by any of their 4-digit sub-sectors. No great difference is noted with the NACE-2 results. Tobacco, Pharmaceuticals and Beverages (Spirits and Beer) still rank high. Interestingly, Food climbs up the concentration ranking thanks to the low level of competition detected in the Sugar market. Other transport equipment (Locomotives and Aircrafts) scores high in terms of market share concentration. Concerning entry, we note that, consistently with intuition, the firm size indicator is highly correlated with concentration. Tobacco, Motor Vehicles, Pharmaceutical, Chemicals, Beverages, Electric equipment, Basic metals are in the upper half of the ranking. This is not surprising given the relevance of research and development or high fixed entry costs and economy of scale featuring most of the products manufactured in these sectors. The NACE-4 analysis confirms Sugar (Food category) as a potentially problematic market, together with Tobacco, Aircraft and Spacecraft (Motor Vehicles), Plastic (Chemicals). The other entry indicator we use, “import penetration”, scores low for sectors were production tends to have a more narrow geographic scope (Reproduction of recorded media and in particular at 4-digit level, Printing) or has a stronger local dimension (Tobacco, Fabricated/Coated Metals, Other Non-metalic/Cement, Beverages/Soft drinks), while import penetration is high where multinational companies tend to be more present: Computer and electronics, Pharmaceuticals, Chemicals, Motor vehicles. In terms of market stability, Tobacco, Food, Beverages and Pharmaceutical are amongst the sectors where demand varied the least during the period of observation (beside Wearing apparel, a result driven by the stability of the Clothing sector, as the 4-digit analysis shows). Import penetration is stable the most in Rubber and plastics, Wearing apparel, Electrical equipment, Wood and wood products. The lack of overtime variability may be due to the relevance of products where demand is notoriously less elastic (Meat products, Clothing, Tobacco, Beer and Footwear, Clothing, Pulp, paper and paper board, Plastic products, respectively for market size and import penetration variance at 4-digit level). Finally, the least “asymmetric” sectors according to our Gini-indicator seem to be Rubber and plastic, Textile, Electrical equipment and Tobacco. Table 4 above reports the ranking of manufacturing sectors on the basis of European Commission’s merger and cartel investigations during the period 2000 – 2013.18 The database was assembled downloading the decisions’ record from the Commission’s website and allocating them to sectors according to the reported economic classification. If more than one sector was reported, all indicated sectors were compiled as affected by the decision. For merger investigations we collected three types of information: the number of mergers that were unconditionally cleared in ‘first phase’ ie after a preliminary inquiry usually requiring 1 month of investigation; the number of mergers that were cleared in first phase but did instead require the parties to commit to certain conditions; the number of mergers for which a deeper investigation (‘second phase’, usually lasting approximately 4 months) was deemed necessary. We define as ‘potentially problematic’ a merger that was deemed as such at the end of the first phase investigation by the European Commission either imposing conditions or requiring further scrutiny in second phase.19 The ratio between potentially problematic mergers and the total number of scrutinised cases is the likelihood indicator used to rank sectors. Sectors display a high heterogeneity in terms of incidence of merger control. The sector where merger scrutiny took place most often is Chemicals with an overall count of 259 decisions, while only 6 mergers were scrutinised in the Tobacco and the Leather sectors during the period of observation. Since most of mergers are cleared without conditions, the likelihood that a merger is deemed potentially problematic by the European Commission is on average low (approximately 11 percent for the manufacturing sector as a whole). The index however varies substantially across sectors. Sectors where the index scores higher are Paper and paper products (25.4 percent), Pharmaceuticals (25 percent), Chemicals (15.1 percent), Other manufacturing (14.6 percent). At the other end, the risk of a finding of problematic merger by the European Commission is lower in Motor vehicles (1.9 percent), Wearing apparel (5.6 percent), Electric equipment (6.5 percent). Tobacco (50 percent) and Furniture and Leather (0 percent) are clearly outliers (these results are due to idiosyncratic factors and the small number of observations). As for hard-core cartels, the Commission took decisions concerning 16 of the 22 sectors during the period of analysis. Chemicals account for the majority of rulings, 27 out of 65. Sectors with no uncovered cartels are Leather, Wood, Recorded media, Other transport equipment, Furniture and Other Manufacturing. To rank the sectors, we weighed the number of cartels to the size of the market as a share of total production in manufacturing. In the resulting ranking the sectors where the incidence of anti-cartel action was stronger in the period of observation are Chemicals, Beverages, Electrical equipment and Other non-metallic mineral products. Tobacco scores high as well, but again this might as well be due to the very small size of the sector compared to the other sectors, since just one cartel in Tobacco was sanctioned by the EC during the period of observation. It is interesting to note that the likelihood that a merger is deemed problematic and the weighed incidence of anti-cartel enforcement are highly and significantly correlated: 51.5 percent (5 percent significance level). This provides comfort that economic sectors’ features affecting the probability of collusion play a role in determining the outcome of merger decisions. We now proceed with an illustrative comparative exercise. Figure 1 below attributes colours to sectors according to their performance with respect to the different computed indicators. The idea is to give a graphical glimpse of the consistency between Antitrust Risk Indicators and the action of the European Commission. As explained above, this exercise is useful to check whether antitrust intervention is more frequent where it is expected to according to from a macro-economic perspective. 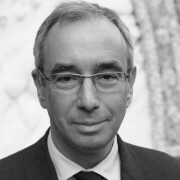 It is important to keep in mind, though, that this exercise cannot provide indications as regards the quality of antitrust intervention, given the fact that sector data are not disaggregated enough to capture the boundaries of product markets as defined in the course of antitrust investigations. The coloured squares in figure 1 reflect the ranking of the sectors ordered according to their anticompetitive risk or the intensity of antitrust action: red corresponds to the seven sectors at the top, green to the seven sectors at the bottom, and yellow to the eight sectors in the middle. Red sectors in terms of “problematic merger risk” are, as described above: Tobacco, Pharmaceuticals, Chemical, Food and Paper; in terms of risk of cartel conviction, red sectors are: Tobacco, Beverages, Other non-metallic, Chemicals, Electric equipment, Rubber and plastic, Wearing apparel. Figure 1 suggests a significant degree of consistency between European Commission’s action both in terms of merger control and anti-cartel enforcement and ARIs related to market concentration and firm’s average size (simple correlation analysis point to significant correlation coefficients between 45 percent and 75 percent). A much lower degree of consistency is observed as regards the other ARIs and correlation results are all not statistically significant. The variance of market size (a negative proxy of market stability) is however broadly consistent with merger decisions for what concerns negative decisions ie: sectors such as Tobacco, Food products, Pharmaceuticals, Paper and paper products are ranked top both in terms of lack of market variance and of probability of negative merger decision. Cartels discovery seems also overall consistent in the top ranking for what concern import penetration (Tobacco, Other non-metallic mineral products and Beverages), variance of market size (Wearing apparel, Tobacco and Beverages), variance of import penetration and market symmetry (Rubber and plastic, Wearing apparel, Electrical equipment and Other non-metallic mineral products). In this paper we have analysed features of European manufacturing sectors. We ranked sectors according to their performance based on indicators that economic wisdom suggests positively affect the likelihood of collusive behaviour by market players. At 2-digit level, sectors that appear more exposed to collusion risk are Tobacco, Pharmaceuticals, Beverages, Chemicals. The 4-digit analysis suggests higher anticompetitive risk in Tobacco products, Spirits, Sugar, Railway Locomotives and Aircrafts (high concentration and fixed costs), Coating of Metals and Printing (low import penetration), Tobacco products, Meat products, Footwear and Clothing (high market stability), Plastic products and Spinning/Weaving of textiles (high symmetry of market leaders). We also have ranked sectors according to the distribution of European’s Commission’s antitrust intervention between 2000 and 2013 in terms of merger control and anti-cartel enforcement. Tobacco, Paper and paper products, Pharmaceuticals, Food products, are the sectors in which a notified merger has a greater likelihood of being deemed problematic by the Commission. The incidence of anti-cartel action has been higher in Chemicals, Tobacco, Beverages, Electric equipment and Rubber and plastic. 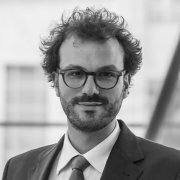 We then checked the consistency of the European Commission’s action with the prediction of economic theory based on sector data, bearing in mind that sector data cannot provide for indications on the quality of antitrust intervention given the fact that antitrust investigations are based on very narrow product market definitions. The comparison exercise suggests that, by and large, both merger control and anti-cartel action have been focusing on sectors displaying a higher level of market concentrations and economic rents or economy of scale. This paper has a descriptive nature and should be taken as a starting point for a deeper reflection on the choice of appropriate instruments to foster competition in European manufacturing sectors and the definition of intervention priorities. Without appropriate regulatory intervention, ex-ante monitoring by the antitrust authority is warranted. The action of the European Commission is sometimes considered to be too much ‘case-driven’. Cartels are discovered through whistle-blowers, abuse of dominance or anti-competitive agreements’ investigations are prompted by complaints. Because of such an approach, the restoration of normal competitive conditions that antitrust intervention is supposed to bring comes often with a significant delay with respect to the starting of the infringement. Uncovered cartels’ duration, for example, fluctuates between 6 to 14 years (see Mariniello, 2013) from their commencement. During that time, cartels affect the economy through a higher burden on customers and ultimately on consumers. It would thus be more efficient to anticipate the breaking down of cartels by investing resources in uncovering cartels to monitor markets in which infringements are more likely. The European Commission already has the tools to perform such a job through so-called ‘sector inquiries’; an appropriate use of those tools in the identified sectors could yield significant social benefit. 1 Symeonidis (2003) uses agreements between competitors that were formally registered in compliance with UK Restrictive Trade Practice Act of 1956 as indication of an industry’s propensity to collusion; those agreements were at the time considered lawful. 2 See Amelio and Donath, 2009. 3 There are other factors which may be relevant to explain the likelihood of collusion in a certain market: for example, the existence of cross-ownership links between players or the frequency of their multi-market contacts. However, to our knowledge those factors are not available at sector level and are therefore excluded from our analysis. 4 We presume that the average markets’ performance across the 5 countries reported in our dataset is a good approximation of the average performance of a cross-border market within the European Union. For the sake of illustration, consider the following example: we assume that averaging out the concentration ratio within the tobacco sector in UK, France, Germany, Italy and Spain yields a good approximation of the average concentration ratio of a market within the tobacco sector that has an international dimension (that is: it is not confined to just one European country and therefore falls in the competence of the European Commission). The validity of this presumption crucially depends on the degree of commonality that sectors have across countries in Europe. If the tobacco sector is very open to competition in UK while little competition in the same sector occurs in Italy, then the cross-country average may bear little indication as to the level of competition of a hypothetical tobacco market affecting Italy and UK. Instead, if cross-country variability is limited, this would suggest that sectors have intrinsic characteristics that, despite idiosyncratic country characteristics (such as domestic regulatory policy) are conducive to similar market structures. For example: a production process typically implemented in a certain sector may give raise to sector-specific economies of scale, resulting in more concentrated markets. Strong and highly significant pairwise correlations between EU-wide and national indicators in our dataset support such presumption. Confirmations are also found in the empirical literature. Hollis (2003) for example finds that concentration ratios in 82 sectors are very similar across five European economies (Belgium, France, Germany, Italy and the UK), the US and Japan. 5 Veugelers (2004) analyses 67 manufacturing sectors in the EU15, finding that concentration ratios tend to be quite stable over time. Persistency checks ran on our database point to strong and highly significant cross-year correlations for price-cost margins, import penetration and firm size. 6 We implement Griffith’s methodology except that we do not subtract for the capital costs because of data availability. 7 Alternative measures could be used to proxy entry (such as ‘business’ churn rate’ ie the sum of firms’ birth and date rate) using Eurostat and OECD datasets. However, we believe that using average firm size as an indication of barriers to entry is a better option. First, because the data on firm size are reported at a higher level of disaggregation (up to 4-digit in our dataset, while business’ churn rate is limited to 2-digit in the Eurostat/OECD dataset). Second, because the number of companies that enter or exit a sector is less informative about the disruptive power that those firms can exert on potential collusive agreements. A high number of small firms entering small markets within a sector affect positively the sector’s business’ churn rate, but this is unlikely to represent a threat to collusive agreements between bigger companies in wider markets. An extended discussion on alternative indicators to measure entry likelihood is reported in the Appendix. 8 The Gini index expresses inequality among values of a frequency distribution and ranges from 0 (complete equality) to 100 (extreme inequality). 9 Formally, we compute the Gini index as follows: Index = 1- (7*x4 + 5*x3 + 3*x2 + x1)/4; where x1 is the production share of the top company normalized to the production share of the four companies (or concentration ratio). 11 Source: The World Bank. 12 Euromonitor International (link) is a research and data company that collects and aggregate data at sector level from official sources as well as through market research. The data obtained through market research in our dataset consists of production value and production shares for the year 2010 of up to five top companies for all manufacturing sectors in the 5 target economies for our analysis. 13 Total production is the total revenue of all locally-registered companies, excluding taxes and subsidies on products like VAT; valued added equals total production minus intermediate consumption; the gross operating surplus equals value added minus labour costs and taxes less subsidies on production and therefore includes the remuneration of equity and the depreciation of capital; market size consists of the value of all goods and services sold, either from local or foreign producers and recorded at purchaser prices; imports consist of the value of goods delivered at the frontier and consumed in the country; exports consist of the value of goods shipped out of the country, excluding re-exports; the number of firms is made up by all locally-registered companies, including 0 employees enterprises and single-employed; production values and shares of top companies refer to the revenues made by companies from industry-specific products. 15 Two 2-digit sectors – Coke and refined petroleum products, and Repair and installation of machinery and equipment – are left out of our analysis. 16 The great difference between market size and production for the Tobacco sector is given by secondary production, i.e. production of Tobacco products made by companies falling in other categories. 17 Profit margins are calculated with respect to estimation of marginal costs that includes intermediate goods and services. As explained above, this is a standard methodology in the literature, although alternative measures could rely on labour costs only – depending on what is considered a better approximation of total marginal costs. The methodology used in this paper therefore tends to bias downwards profit margins of sectors that rely heavily on intermediate goods and services, such as motor vehicles or other transport equipment. 18 Data were retrieved from the website of the European Commission’s Directorate-General of Competition through the case search tool: link. 19 We opted for this definition in order to guarantee the maximum degree of statistical compatibility between merger decisions, since the ones used for the indicators are taken all at the end of a first phase investigation. Alternative definitions could also be possible. For example it could be possible to further segment mergers that were investigated in ‘second phase’ in mergers cleared with conditions, mergers cleared with no conditions and blocked mergers. A problematic merger could then be defined as a merger for which conditions were imposed at the end of either first or second phase investigation or a blocked merger. However, this would have implied mixing decisions taken after different administrative processes and with different depth of scrutiny. It should be said in any case that the ranking of sectors is not affected by the choice between the two different definitions. 20 According to the Eurostat definition, “the enterprise is the smallest combination of legal units that is an organisational unit producing goods or services, which benefits from a certain degree of autonomy in decision-making, especially for the allocation of its current resources”. Births and deaths account for the creation or dissolution of entreprise units, thus excluding mergers, break-ups or restructuring of a set of enterprises. Davies, S. W., and Geroski, P. A. (1997) ‘Changes in concentration, turbulence, and the dynamics of market shares’, Review of Economics and Statistics No. 79.3: 383-391. Griffith, Rachel, Rupert Harrison and Helen Simpson (2010) ‘Product Market Reform and Innovation in the EU*’, The Scandinavian Journal of Economics No. 112.2: 389-415. Gual, Jordi, and Núria Mas (2011) ‘Industry characteristics and anti-competitive behavior: evidence from the European Commission’s decisions’, Review of Industrial Organization No. 39.3: 207-230. Konings, J., Van Cayseele, P., and Warzynski, F. (2001) ‘The dynamics of industrial mark-ups in two small open economies: does national competition policy matter?’ International Journal of Industrial Organization No. 19.5: 841-859. In this paper we have used firm size as an indication of entry costs. Firms in sectors with higher barriers to entry are expected on average to be bigger in size. Another way to proxy likelihood of entry consists in measuring the actual number of enterprise births and deaths using the Business Demography datasets of Eurostat and the OECD20. A summary indicator for firms’ turnover is the business churn, obtained as the sum of the birth rate and the death rate over the number of active enterprises in a given year. The higher is the churn rate, the easier is for firms to enter or exit a sector. Table A below reports the indicator used in this paper, firm size, and business churn in two separate columns at two-digits NACE 2. As it can be noted, the sectoral disaggregation of the two indicators differs. In particular, the Eurostat Business Demography/OECD dataset provides data at a more aggregated level than the level of analysis used in this paper. This makes the comparison between the two indicators difficult as sectors included in the same group in the Business Demography dataset may have very heterogeneous firms’ size. For example, the Tobacco sector has the highest average firm size but Tobacco is aggregated with Food and Beverages in Eurostat and OECD datasets, which have average firm size about 10 times smaller. A rough comparison yields mixed results. Sectors with the highest business churn (ie Textiles, Wearing apparel, and Leather products) have very low firm sizes – consistently with the approach adopted in our analysis. However, sectors with higher firm sizes (eg Motor vehicles and Transport Equipment) also display relatively high churn rates. A possible explanation for this divergence is that high entry and exit rates may be due to high flows of small companies in narrow markets within a sector. If a high number of small companies enter or exit small markets in a sector, this significantly increases the sector’s reported average churn rate. However, the ‘disruptive’ effect on collusion brought about by these companies can be very limited, given their small size. For that reason, we believe that using firm size is a better measure to indicate the exposure of the sector to external competition for the purposes of the analysis reported in this paper. Another way to measure barriers to entry is to use sector capital and R&D intensity as in Gual and Mas (2011) and Symeonidis (2003). A high capital intensity, as measured by investment in tangible goods over value added, might imply that firms need to make expensive investments in order to operate at an efficient scale. Similarly, a high R&D intensity, as measures by R&D spending over value added, may point to high costs incurred to differentiate or improve their products. Thus, capital and R&D costs may represent fixed or sunk costs that reduce likelihood of entry. The two indicators are also displayed in Table A. Again testing the similarity between these alternative measures and firm size is difficult due to the different level of aggregation of the sectors. Nevertheless, a rough comparison suggests a higher degree of consistency compared to what observed in the case of business churn rate. Excluding Tobacco, the correlations between capital intensity and firm size and between R&D intensity and firm size are respectively as high as 44 percent and 72 percent. Taking the sum of the capital and the R&D intensity the correlation with firm size reaches 89 percent.